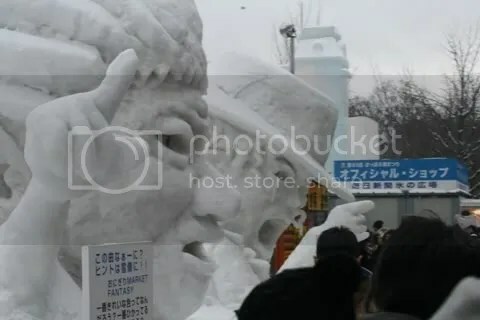 While up in Hikkaido, I couldn’t miss the annual Sapporo Snow Festival, that brings over two million visitors to Japan’s fifth largest city and the home of Sapporo Beer. 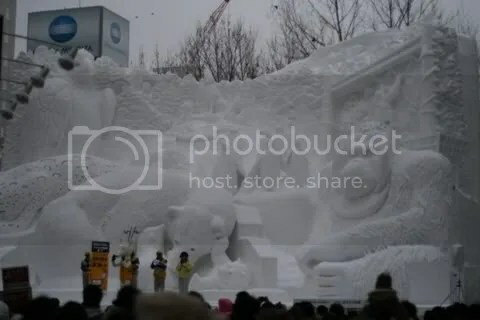 The photos aren’t amazing because I was freezing and miserable, but the snow statues were incredible – about three stories high! There are also plenty of smaller, more ‘home-made’ statues, these two being my favorite. I tried really hard to find the obligatory Hello Kitty statues, but with no success! This drain cover caught my eye, with its decorative squid pattern. 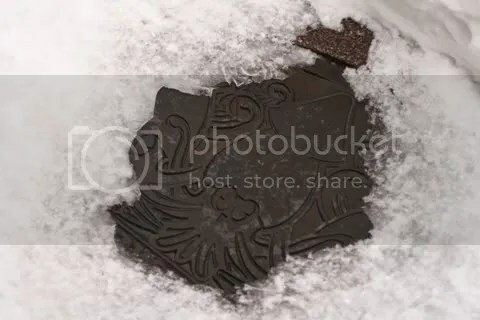 Looking around, most drain covers in Japan seem to have some sort of interesting design – cool!